Right, I'm squeezing in this quick post as there are other things I should really be doing. I think those things involve watching footy, my wife think they involve painting the front room... Anyway the haste may mean there are a few typos etc ("What, more than usual?" I hear you cry) so apologies in advance! Last night was my second Hilden Beer and Music Festival, in what looks sets to become an annual event for me and my trusty beery side kick. Have to say I think overall the set up was much better than last year. Switching the stage and the bar around at the main site lead to more room, and what seemed like a bigger bar. I'm also sure there were more staff and getting served was a much easier experience. The move from cash at the bar to a token system also helped a lot; as did having a dedicated food area. It was also nice to have a choice of glasses on the way in. 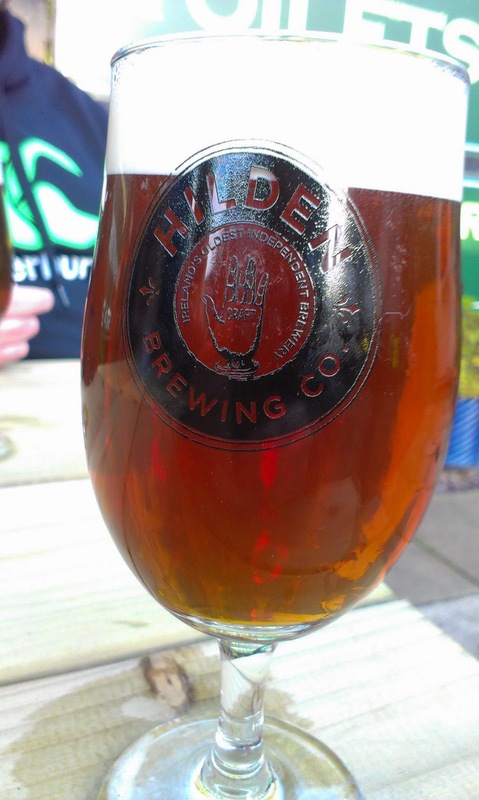 Given that I already have a Hilden pint glass, and the fact I was there to sample, I went for the half pint glass. It's a nice wee tulip glass and much more in keeping with my beer geek hipster aesthetic (disclaimer - I'm not a hipster and I'm pretty sure I have no aesthetic what so ever). Pro tip - if you want to maximise beer volume/value for money go for the pint glass and order half pints, I'd say the people doing this were probably getting close to 2/3rds of a pint for their token! White Gypsy's Honey Gold was probably the best beer I had, lightly sticky, mid bodied, the rye came through well as did a touch of honey. Reminded me of Licher, in a good way. St Austell's Tribute was very well kept and showed plenty of its biscuity goodness. 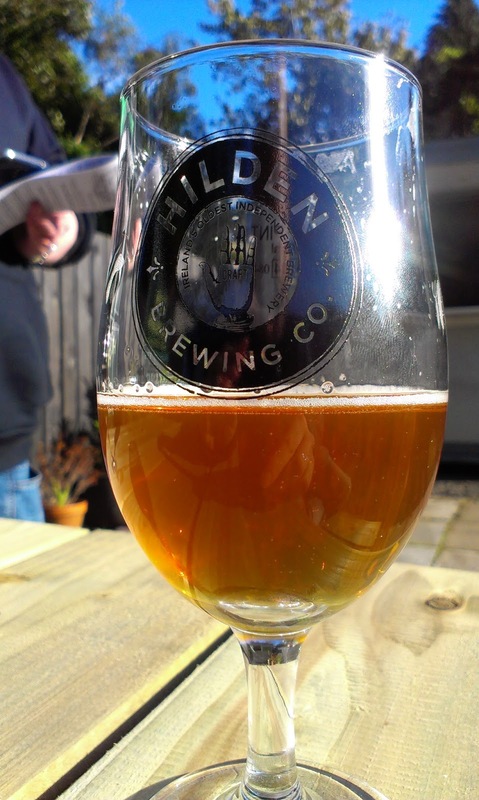 Hilden's own Twisted Hop was also on good form with a light juicy pithy bitterness that went down well on a sunny Friday evening. The only beer I wouldn't recommend was the Porterhouse Dublin Pale Ale, which was elegantly described by my compatriot as tasting like "a beer you poured yesterday but are only drinking today". A nice surprise on the list was Pokertree's Dark Nirvana. Labelled a Black/Cascadian IPA to me it came across more of a porter with a very light hopping. There is a hint of citrus in the aroma but it really didn't cross into the flavour which was espresso and dark chocolate. 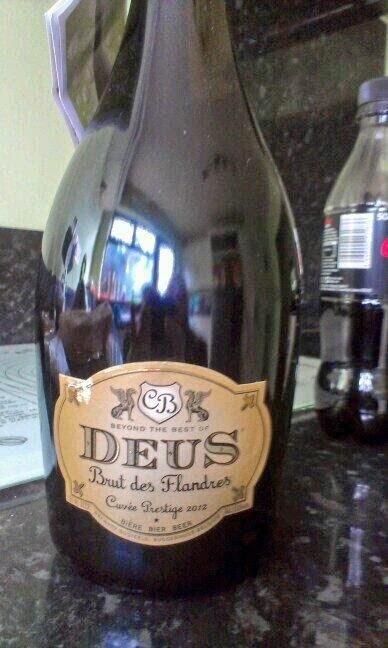 There was a light resinous finish in the mouthfeel. Not a bad effort but too me, as a Black IPA, it fell into the "needs more hops" category. The music was also good - enjoyed the covers band whose music ranged from Eminem to Stevie Wonder (via lots of rock). If you plan on heading up, leave the car and take the train. If you get there before 4pm on Sat & Sun, showing your train ticket gets you £2 off entry! I'm missing Lighthouse Wines' Stone beer tasting event this Thursday, so I'm hoping there'll be some left over for us plebs afterwards! Right, I'm off to paint the front room while watching football at the same time (see its all about comprise) - as a reward I'm hoping to have the little number on the right tonight, can't wait.